The world of PC performance is shifting at this very moment, with the balance swinging from one super power to the other. While the battle for processor supremacy still rages, companies are trying to make a buck from the kit that already exists in the channel. The current performance pinnacle for AMD is still the FX62. As we've seen people's definition of performance can certainly vary. 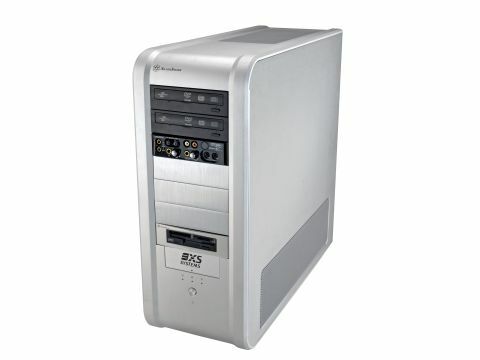 But if cost is no object, then for many this Scan 3XS system represents the best the AMD world has to offer, and it certainly is an impressive last stand before Core 2 Duo starts its assault. As a system, the 3XS impresses throughout, Scan has managed to cram the latest components into the system. At the heart of this is a Foxcomm nForce 590 motherboard with its full 16-lane SLI ready PCIe slots and SLI memory. It comes with 2GB of 1,066MHz Corsair memory that the EPP will happily run at 936MHz without overclocking the CPU. The latest Athlon FX62 has the rather excellent Arctic Cooling Freezer64 Pro mounted atop of it, which means there's room for overclocking. The graphics are powered by the Nvidia 7950GX2, we had hoped for some Quad-SLI fun, but that wasn't quite available, perhaps next time... Storage is equally impressive and up to date with a single 10,000rpm, 150GB Raptor drive running Windows, and no less than two 750GB Seagate perpendicular drives sat there for storage. An expensive yet highly impressive collection of drives, lovingly mounted in their own compartmentalised and cooled section of the case. The case and construction do deserve a mention, it's a very well made aluminium system, not an amazing external design, but it uses the progressive separated PSU and drive bay system most premium cases have adopted. Despite having eight fans; four on the case, a CPU cooler, two GPU coolers and the motherboard fan, it's not overly loud and all of that air adds up to a very cool running system: the CPU temperature peaked at just 57c. This system dispels any doubts that money can't buy you performance. SYSmark 2004 put in a score of 330, easily the highest we've seen; scoring 32 marks more than the test Athlon FX62 system supplied by AMD. This can be attributed to the combination of excellent memory selection, offering 7,424MB/s of bandwidth and outstanding drive performance from the 150GB Raptor drive. For confirmation of its prowess, PCMark scored 7,179. Of course, with the new Nvidia 7950GX2 the system comes with SLI as standard too and enables the option of upgrading to Quad-SLI, when the cards become available. The results are impressive enough, 3DMark05 hitting 13,898 and 3DMark06 reaching 8,079. The default Doom3 settings gave us 178fps but increasing the resolution fourfold to 1,600x1,200 caused a drop of only 14 frames; it's only until 4x AA is activated that the score drops to 108fps. As we've seen in other reviews the FX62 is adept at handling media encoding and this system chomps through the Windows Media encoding test in 1:56, with 1080p playback peaking at 50 per cent, but averaging 17 per cent. All the results here are class leaders but, of course, there's a slight hiccup in the form of Core 2 Duo. But even that doesn't stop this being the fastest AMD system we've ever seen. A system like this is bought by the few. There's always a point where we have to comment on the price, and Scan is clearly asking for a lot of money, but that doesn't mean that it offers poor value for money - it's priced just right for the hardware that's included. Of course, you can configure the system so that you leave out the drives, FX62 and 7950GX2 and downgrade to something more affordable, but then that will leave you with a distinctively average PC.